3216 leads the 9O28 12:53 Waterloo International to Paris Nord Eurostar service past Westenhanger on 11 May 1996. This view changed considerably during the following decade. 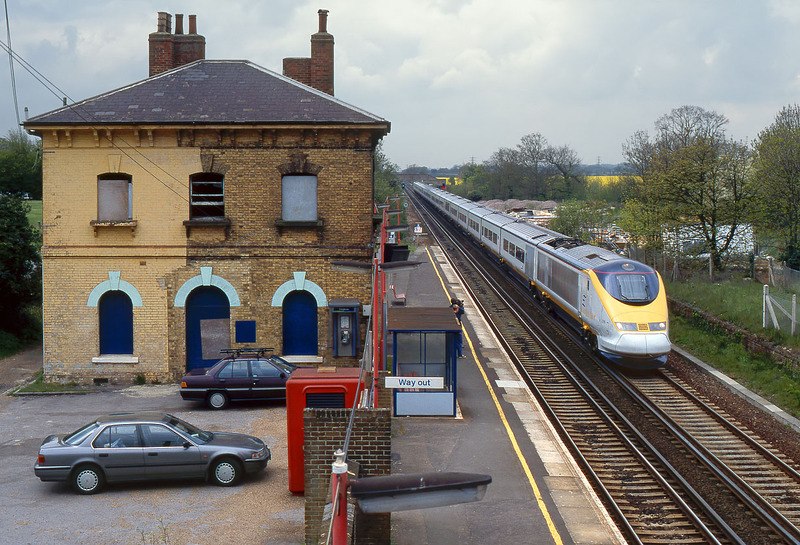 Surprisingly the derelict station house has remained much the same, but the new high speed line now occupies a broad strip of land to the right of the track here, and of course a present day Eurostar train would use the new line. And yes, the Honda Accord parked in the car park is the one that gives this website its name!